American Cancer Society (ACS) and agency The Richards Group have launched a new holiday fundraising and awareness campaign that features patient-centered stories. 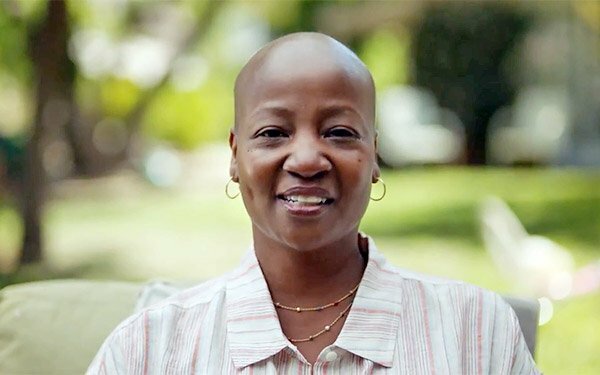 "Both of the new ads focus on an interesting nugget: cancer patients and caregivers frequently call our helpline even when they’re not sure what their specific needs are," says Irma Shrivastava, senior vice president, strategic marketing and alliances, ACS. “Plan of Attack” depicts a patient who transitioned from focusing on the worst-case scenario for her family to a plan for managing her illness after connecting with ACS. Another ad, “More Than Medicine,” highlights a survivor recalling his reaction to learning about how the ACS is much more than a funder of cancer research. The campaign will span TV, online video, digital ads and radio. It will also do outreach via select iHeart and Westwood One DJ personalities to articulate the ACS brand position while fundraising on-air and through social media. Print placements in Forbes, Fortune, Bloomberg BusinessWeek, Time and The Wall Street Journal are planned to connect with potential donors who make substantial gifts that represent a large proportion of public support at the end of each year. The multimedia approach is similar to the year prior, with a slight modification to align with the target consumer’s evolving media consumption habits, such as using more digital video, connected TV platforms and streaming audio to ensure "reach against cord cutters and people who use less traditional media," says Shrivastava. "We saw positive results and we believe consistency is vital for a message to break through." ACS reports that last fall's campaign resulted in a 47% increase in cancer.org revenue during the critical last week of December over the same week in 2016 and an uptick in three key metrics: awareness, charity of choice and intent to donate.